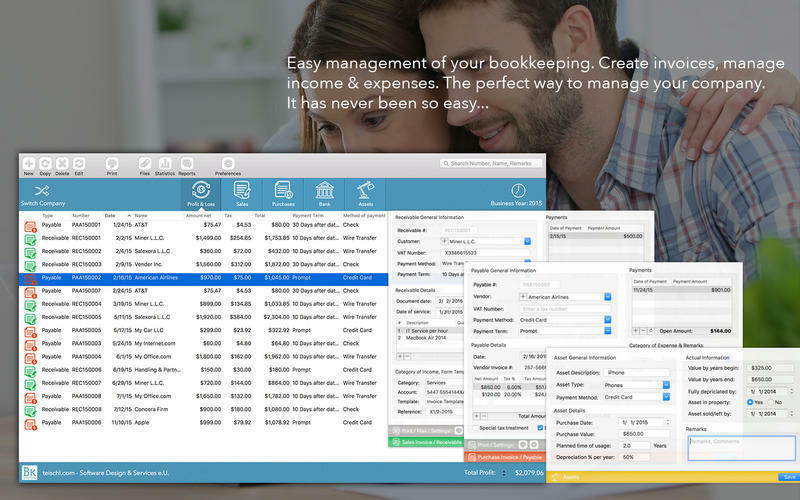 Simple and powerful bookkeeper for small companies. Is there a better alternative to book'n'keep? 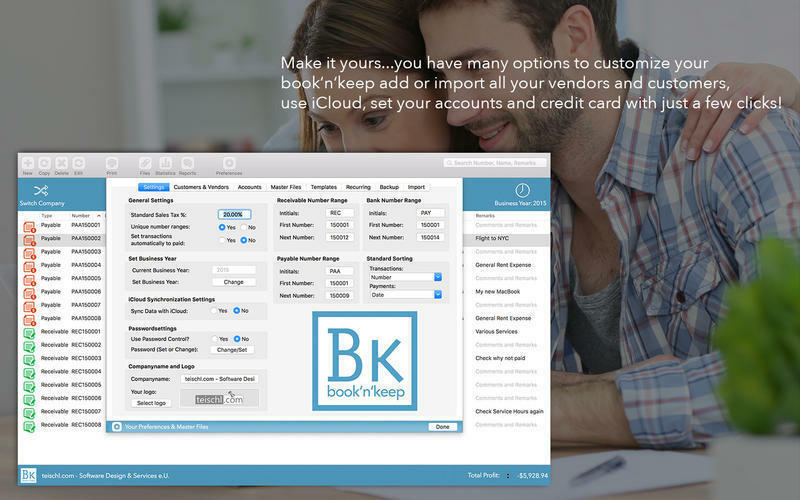 Is book'n'keep really the best app in Finance category? Will book'n'keep work good on macOS 10.13.4? 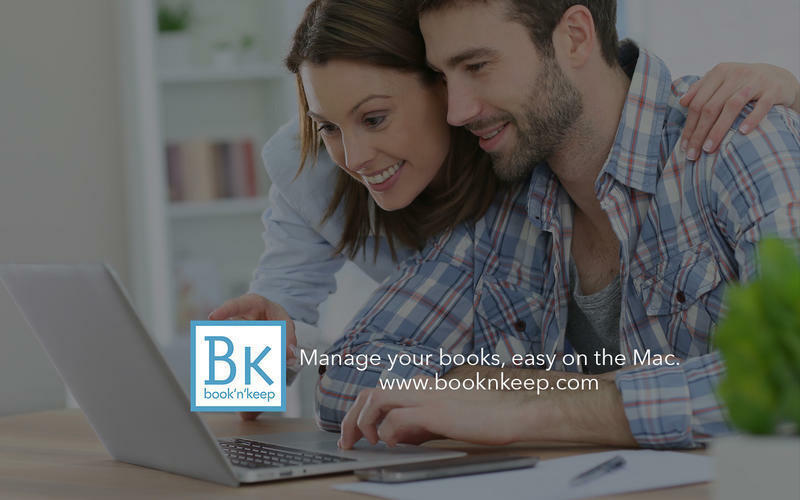 book'n'keep is made to fit the needs of sole traders or small companies that do not have strict bookkeeping rules like double-entry accounting but still need to take care what goes in and out. If you are a sole proprietor, you do have to do most of your work alone, and bookkeeping only takes up your valuable time. 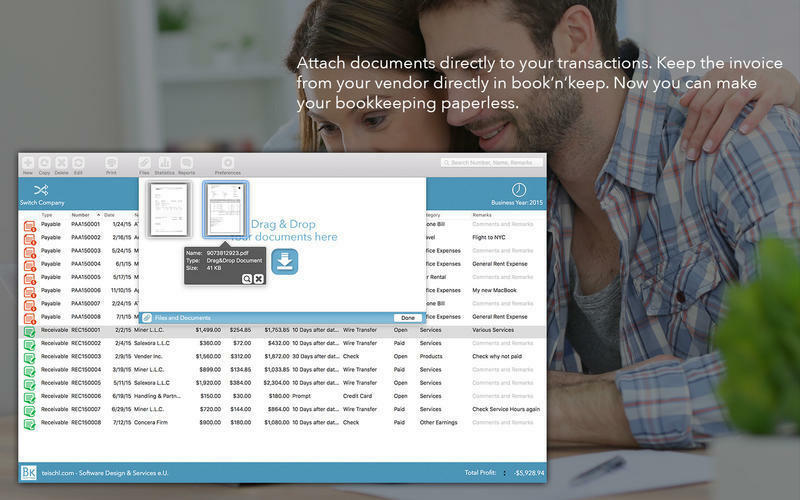 We suggest you use book'n'keep instead of creating difficult files and massive paper work. book'n'keep needs a review. Be the first to review this app and get the discussion started! book'n'keep needs a rating. Be the first to rate this app and get the discussion started! 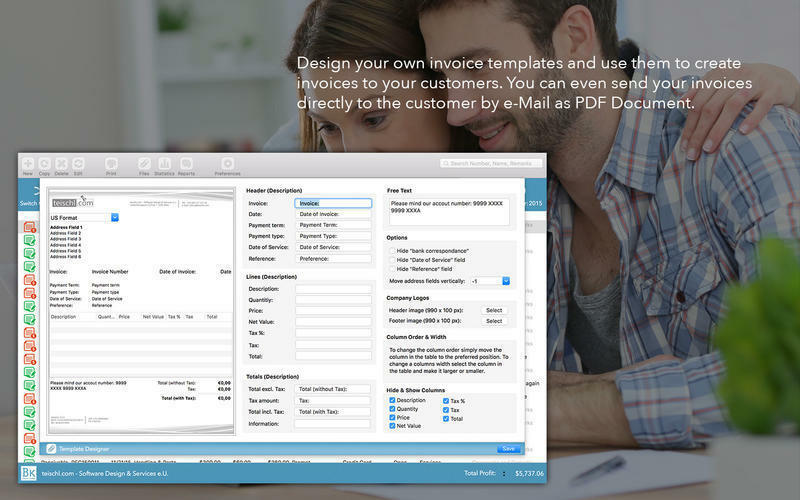 Create master files like payment terms, asset types, business types, expense, and earning groups, etc.